A special land wrapped in the mysterious Suwa Lake and Suwa Shrine: Shinshu Suwa, called the center of Japan. A place for people important to each other to get away from the everyday hustle and bustle was opened on this land in July 2016. The beautiful contrast of the plaster and pale woods are present throughout just these 8 wonderful rooms. All rooms come with en-suite outdoor spa and can be used to spend your time in privacy. 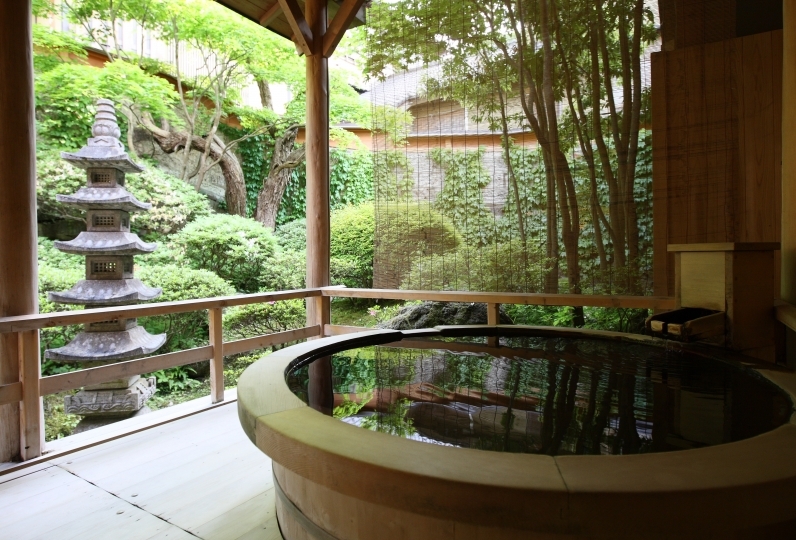 Time at the inn is best spent in the mixed outdoor spa with a view of Suwa Lake. 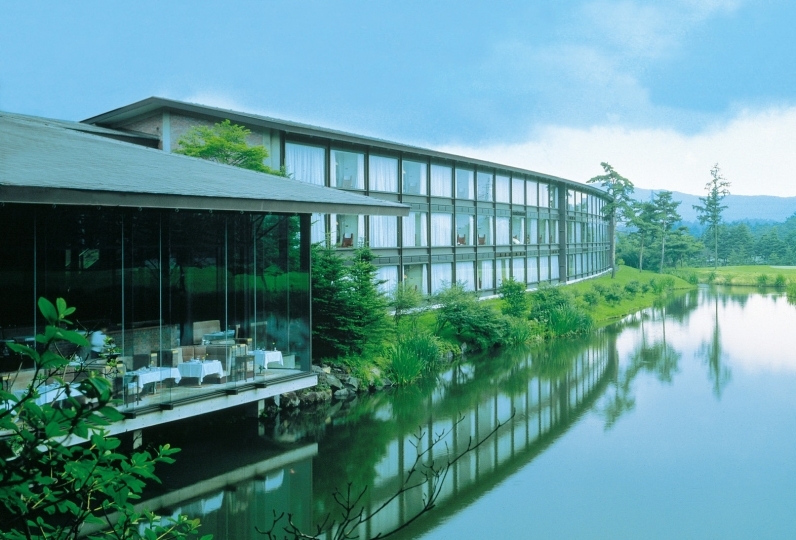 While watching the mysterious Suwa Lake, have a relaxing time with your important person. Sunset time is when you can both watch the romantic scenery. We hope you enjoy your meals on the guest-only floor in private rooms. Delicious seasonal ingredients are made with cooking methods that feels like Shinshu Suwa. We carefully select and use seasonings that we feel confident to provide such as Suwa local brews, miso, and soy sauce. Once you're full why not try a local brew in the Irori tea room? Suwa is a region with many breweries. 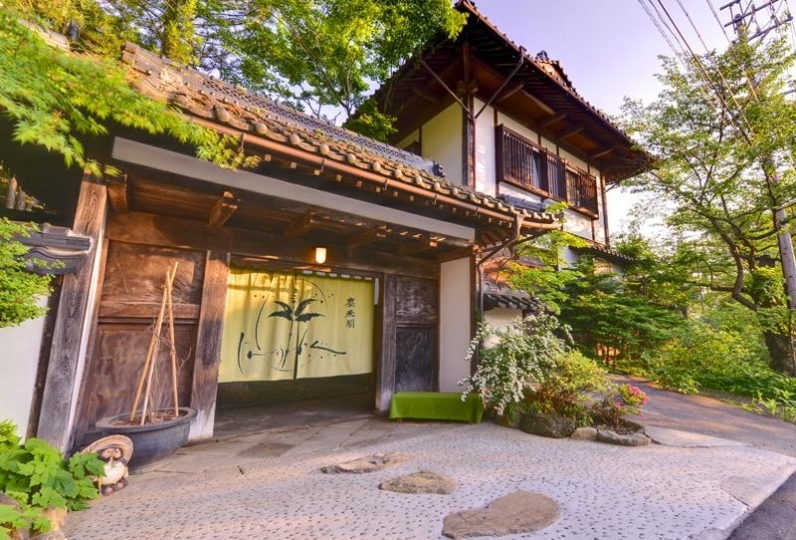 Perhaps you would like to try comparing the tastes of a myriad of Suwa regional sake with your important person? 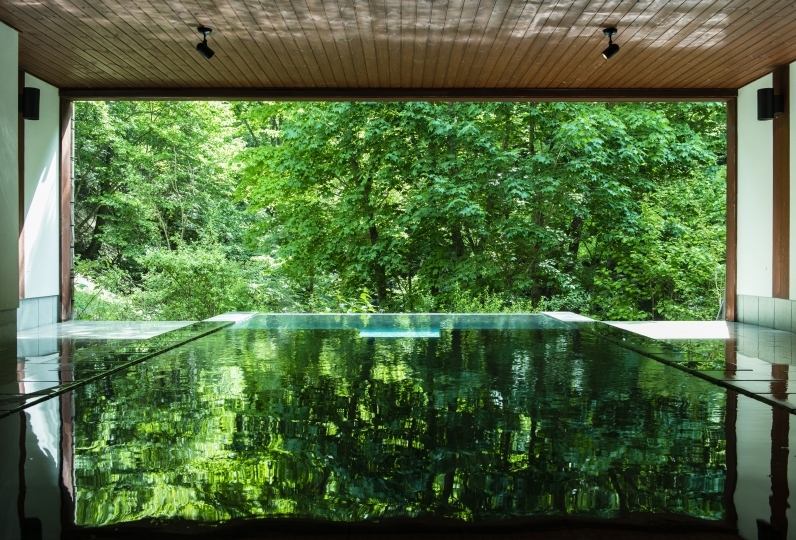 While time calmly flows by, we hope you experience a relaxing time here in Shunshu Suwa. Thank you very much for this time. I was impressed by everything from pick-up to see-off. 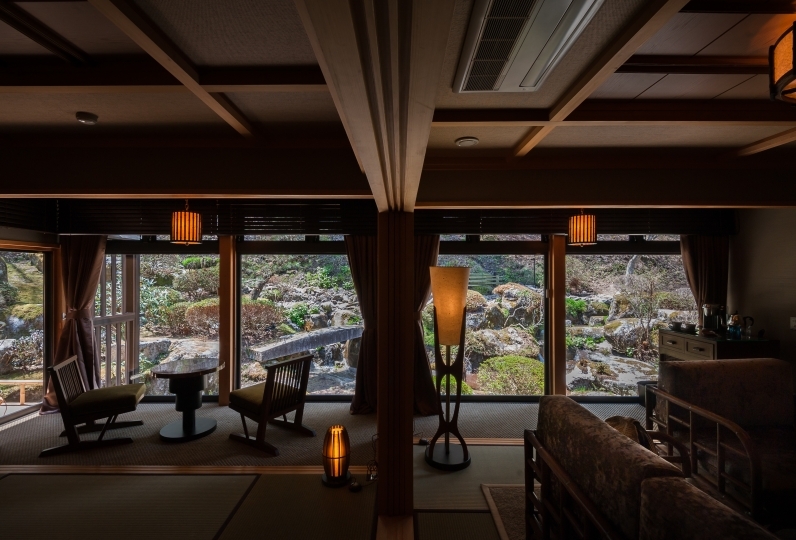 Not to mention that the food is delicious, the open-air bath on the roof was the best in the sense of openness and the view over Lake Suwa. The room was also very clean and comfortable. However, it was customer service and correspondence that left the most impression in mind. The service of Mr. Nakai in charge was soft, and it was so polite that I am sorry. I'm really sorry I got this equipment dirty by carelessness. On the contrary, please do not worry here, I was impressed by the feeling of sorry and the kind correspondence. I would like to thank this person and the staff who responded late in the night with Mr. Nakai in charge. Thank you for the great day! ! 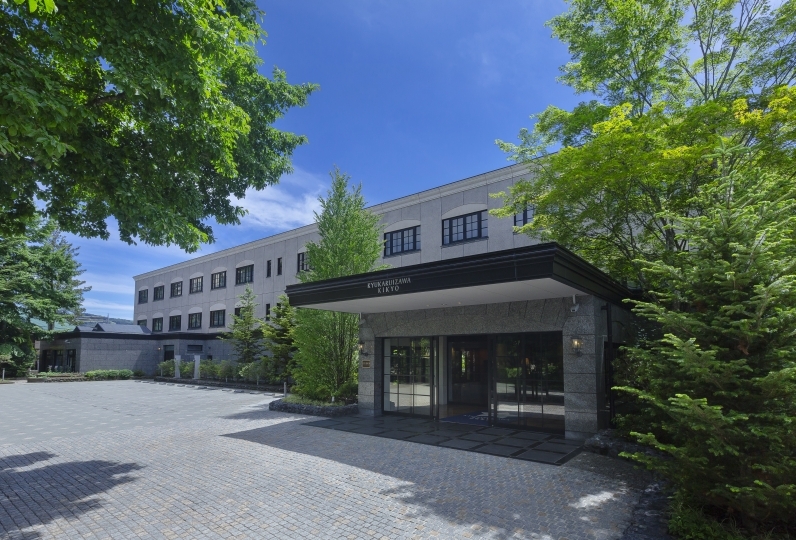 We realize that it is a hotel with hospitality due to the politeness of the pick-up at the time of arrival at the hotel, but we are satisfied with the response of all of you, but Mr. M in charge was particularly friendly, yet young female staff I was very happy with it. 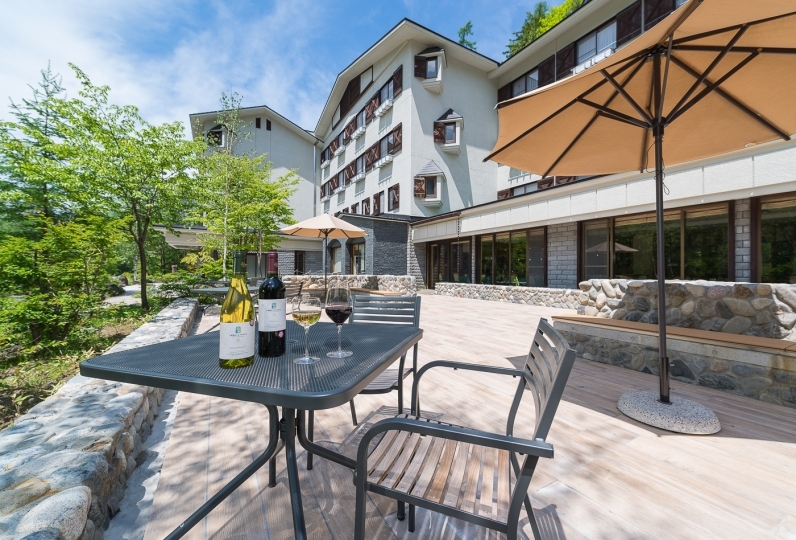 Thank you for the location of Suwa Lake, the clean and comfortable rooms, plus hot spring and the excellent, excellent healing. There is a problem with taste for cooking, but I thought that the whole thing would be a slightly rich flavor. Overall I was very happy. I will use it again. The customer service, the food and the room were all satisfactory. The sweets that were put in the room were also very deliciously purchased. Sake of service was very delicious. Thank you very much. 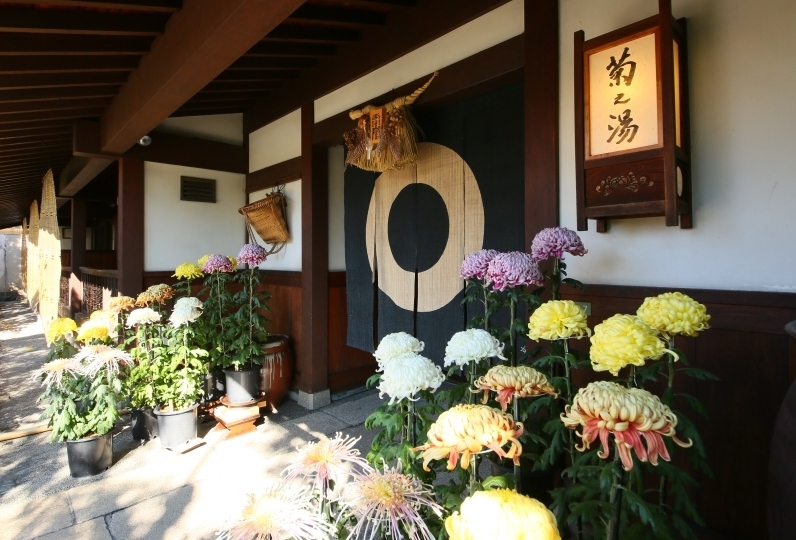 After 9:00pm, the first floor Irori tea room transforms into a bar. Suwa has many is a land with many famous local breweries. One can enjoy all of the local brews from the Sui area breweries. Even the snacks are Miko Hacchin  (the 8 rare tastes of Suwa Lake) and are available only at bars specializing in local brews. The view from the rooftop outdoor bath with a view is just one of the many splendid scenes of Suwa Lake. 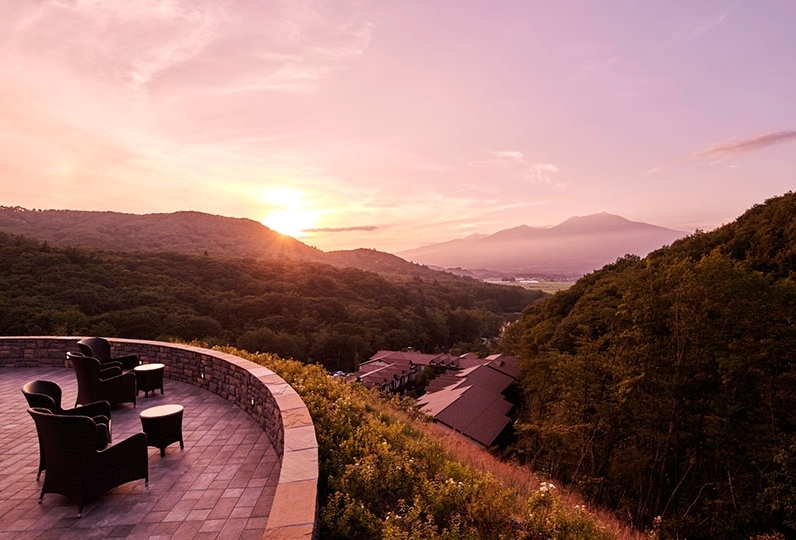 We hope you have your fill of a luxurious bathing experience that will heal your body while watching the impressive sunrise, sunset, and starry sky of Suwa Lake. ※Bathing suit is required. This is designed to let even women be comfortable with minimal skin exposure. ・The bath tax of 150 yen will not included. 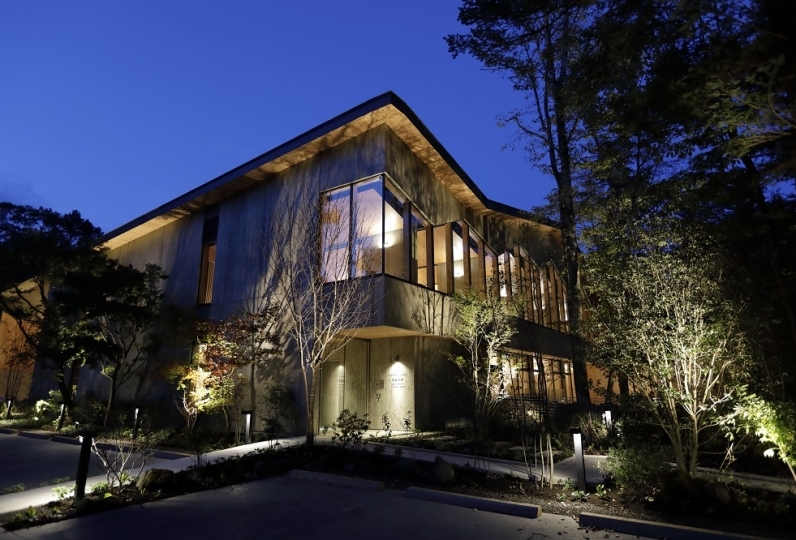 ※Depending on the room type, children may not be able to be accommodated. If you wish to stay with your children, please consult with the Relux concierge desk. We may come meet you if contacted beforehand.